Governor Ibikunle Amosun of Ogun State will on Sunday, April 1, 2018, commission the newly-built St. Ives Clinic in Abeokuta, the state capital. The ceremony is expected to be graced by other personalities in the state including Senator Lanre Tejuosho, Iyalode Alaba Lawson, and many more from the political, government and healthcare sectors. The new state-of-the-art clinic was constructed by Dr Tunde Okewale and is situated on Olatunde Abudu Close, Ibara Housing Estate, Abeokuta. The health facility has IVF & Fertility Clinic, Women Clinic and an out-patient Clinic. Since Dr Babatunde Okewale, a seasoned gynaecologist, opened its first outlet in Lagos, the hospital has delivered close to 2,000 babies in their IVF unit, and the number is still on the rise, due to the specialist’s attention is given to patients, a service which will now be extended to Abeokuta and Ogun state in general. The medical institution, St. Ives Health Care Centre, remains one of the leading and most respected private healthcare organizations in Nigeria, which was established in 1996, and offers dedicated specialist medical services in all health challenges of women, children, and family health. 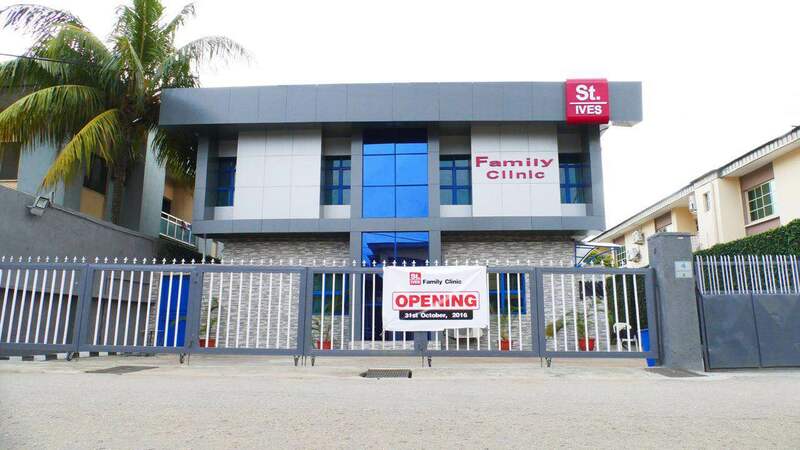 St. Ives’ health care organization presently operates two specialist hospitals, two IVF & Fertility clinics, one family clinic and a health maintenance organization (HMO). The founder, Dr Babatunde Okewale, a Fellow of the Royal College of Obstetrics and Gynaecology, UK, and a father of four, was trained and qualified in 1985 as a medical doctor at the premier University College Hospital (UCH) in Ibadan, Oyo State, before he travelled to the United Kingdom, where he practiced for 10 years as an obstetrician and gynaecologist at Leeds, Manchester and Oxford, all in the United Kingdom.